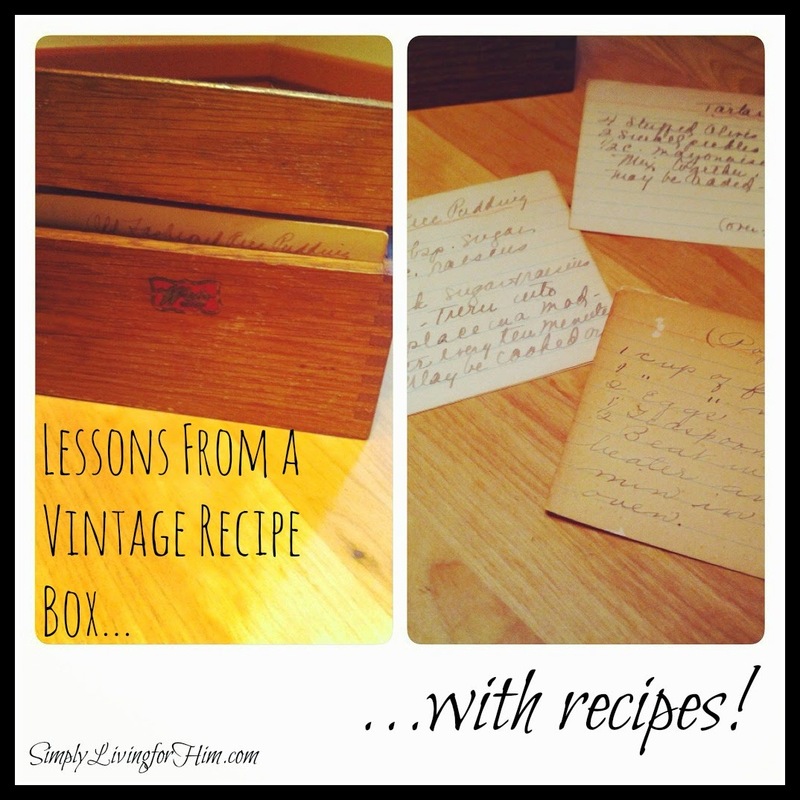 Lessons From a Vintage Recipe Box..With Recipe! A few weeks back I posted on facebook and Instagram about this awesome recipe box. I got it at a garage sale a few years ago and have been in love with it ever since. 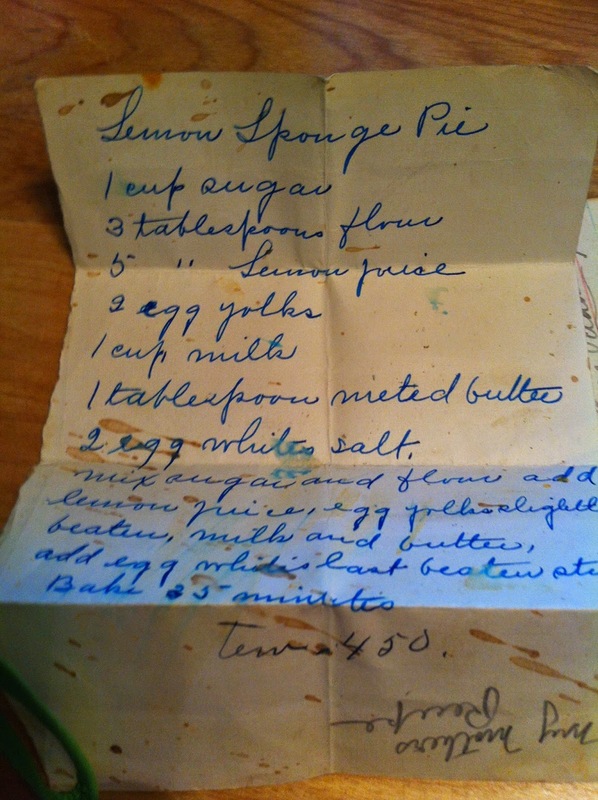 It has hand written recipes on notecards and scraps of paper, yellowed and faded, some even splatted with ingredients. One of the papers that a recipe was on shows that this box dates to at least 1926. I often pull out the recipes and think about who it could have belonged to. Were these recipes passed down to her from many generations? Did she make these lovingly for her family? Who was she? Did she share in the same struggles, we as moms do even in 2014? I imagine in my mind just who she was and what was life like, feeling sort of awe struck that I am even tied to this unknown woman from the past, here and now in the present. She had no Pinterest, yet here we are sharing a recipe together 😉 God is good. He ties things together that we never even imagined. Just as I pondered this week when we watched 1776 for the Fourth of July…about those men and what they did 238 years ago for us…never really living in the free nation that they founded or seeing the fruits of their labors…our lives matter. Sometimes we may not see the fruit of our labors in this lifetime, but that doesn’t mean future generations won’t. Just like this recipe box…from a century ago…here in my home now… so I can think about my life and what I do each day. Making sure it matters. For now and most definitely for the future generations. A simple recipe box. With simple recipes. Yet so profound. As promised, I am going to be sharing some the recipes here on the blog as often as I can.